Given that Trident renewal will top £205 billion, and the NHS deficit is £2.5 billion, it is arguable that Jeremy Corbyn’s greatest political challenge as leader of The Labour Party is Trident. The U.K.’s (not so) independent nuclear ‘deterrent’ is the wedge the Tories hope to gleefully use to separate Labour and their supporters. Get rid of the U.K.s nuclear deterrent, and he risks losing the Unions. Go along with Trident, and he will lose his following in the CND inspired elements of the left who oppose nuclear weapons. The Tories hope Corbyn will have alienated one or both of these groups. All of the Tory scheming from the time Corbyn was elected until the build up to the June 8th elections was skirmishing – pre election scouting. The peak of their efforts came as the Tories hoped to demonstrate that, unlike Clement Attlee, Corbyn can’t do defence policy. Those who supposedly “can do” defence policy say we need nukes. But even accepting that logic – as the debate on transport infrastructure, just as the fact we need more train lines means we do not necessarily need HS2 – does it follow that if we need nukes, that we necessarily need Trident? Trident was designed during the Cold War to, if need be, destroy Russia & half of Europe before or after they destroyed us. It sounds crazy, but it was just good ol’ M.A.D. – however the days of ‘Mutually Assured Destruction’ are over, all of the assurances have disappeared, and we are left only with the potential mutual destruction. A nuclear device big enough to wipe out a munitions producing site spreading a square mile is the top end of what could conceivably be needed or used in 21st century warfare, with the constraints placed on it by international law, the media and the fact that there is now a ‘global community’ – a global community that began the moment we were all united in horror in the aftermath of the Hiroshima & Nagasaki bombings that ended World War 2, and that no one ever dwells on much. The U.S.A. shall carry the stain of Hiroshima & Nagasaki for as long as there is a country known as the U.S.A. This fact points to the simple truth : the idea of Trident being used in any war is a nonsense, as the moment we did so we would become a pariah state, because the dropping of such a device would be seen as a war crime. With Trident we’re talking about renewing a world ruining arsenal from the Cold War which we do not need – not in any hypothetical situation, at all. The only remotely sensible need for one of these demonic nuclear devices is the much vaunted, 20th century ‘logic’ of the ‘Nuclear Deterrent’. Had we stayed in the E.U. and pooled our nuclear capabilities with France as some sort of a unified ‘E.U. Nuke’, the British public might, just might, have accepted not having their own bomb. Post Brexit it is obvious that a scrapping of the independent nuclear capabilities of the independent U.K. would be flatly rejected by a majority of the British people – in times of uncertainty, defence becomes important in the minds of the electorate. Where most see only a disastrous choice between the unions and the grassroots for Jeremy Corbyn, there is in fact a chance to steal a tactic of Tony Blair and forge a ‘third way’ – in real terms, a fudge. Jeremy Corbyn wants to get rid of nuclear weapons – but if we want to get pro nuke campaigners & voters to accept reduction, we must remember that ‘politics is the art of the possible’. This could be Corbyn’s much more collegiate equivalent of Blair’s “clause 4” moment, instead of ‘facing off’ and ‘bullying’ his party, he could bring them all together under the banner of nuclear reduction. If he gets it right it will show the unions & the hawks of the British political spectrum that he will take on board their concerns on defence and facilitate a compromise option that answers those concerns. It will show that a left wing leader can be effective : the world will see the U.K. leading on getting rid of the ultra destructive nuclear weapons systems left over from the cold war, whilst retaining the idea of the so called ‘big stick’ that the hawks say a nuclear weapon represents in the diplomatic sphere of international politics. If he gets it right he will also show his base, the CND and those others who have been right in their quest to rid our precious planet of these world ruining devices, that he will make strides to further their goals – once weapons capacity is reduced it cannot be increased under the Non-Proliferation Treaty. With Corbyn there is the chance to have it all on Nuclear Deterrence, because even pro nuke advocates accept Trident just wouldn’t be useful in the 21st century, even as a deterrent. then for heavens sake lets make it a cheap, small one – and not of the world destroying capacity that is Trident. Corbyn should declare that he is going to ‘let Trident run its course’ and then not renew Trident. He should then announce the start of a policy tendering process that maps out a much reduced nuclear device, retaining the U.K.s ‘deterrent’ whilst getting rid of the horrendously expensive and dangerous Trident system. Hundreds of unnecessary, expensive, immorally retained nuclear devices will be scrapped as a result. 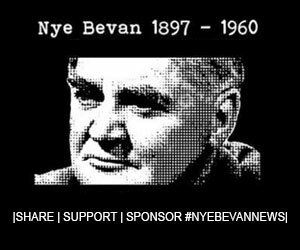 Any talk from our side of the debate about the non-renewal of the gargantuan nuclear arsenal that is Trident – to keep the majority of the country and the unions on side – should come with the discussion of the option of retaining our so called ‘deterrent’ in the form of something much less expensive, large and potentially apocalyptic as the almost unimaginably expensive and destructive Trident. He should then announce a plan to funnel the billions in saved tax revenues into public services like the NHS, pay increases for the rank & file in the Armed Forces, plus an increase in the numbers of both the Armed Forces, and the support staff to those Armed Forces, thus making sure that the employment levels from the Trident support system are retained and refitted into our new defence strategy. In one fell swoop Corbyn will have committed the U.K. to a future with a vastly reduced capacity for nuclear destruction for his anti war supporters (and once said capacity is reduced, under international proliferation laws, they cannot be increased), he will have retained the U.K.’s nuclear deterrent for the hawks, Unions and those who feel it is needed for Defence. By decoupling it from the American Trident system, Corbyn would finally have made Britain’s Nuclear capacity truly ‘independent’, and with the spare cash Corbyn could give the armed service rank & file a much needed pay rise. All whilst turning the issue the Tories would use to destroy him as sure fire proof that he is a P.M. in waiting – a Cement Attlee of the 21st century. Even cunning Clem would have been impressed.